The air temperature and ventilation in your attic space can have a significant effect on your home’s energy efficiency. One of the best ways to keep the air in your attic space balanced during the warm months is with the installation of an attic fan. Attic space can become very hot during the warm months – upwards of 150 degrees – which can makes its way into your home via heat transfer. With the professional installation of an attic fan by a trained electrician, your attic can have the ventilation it needs. 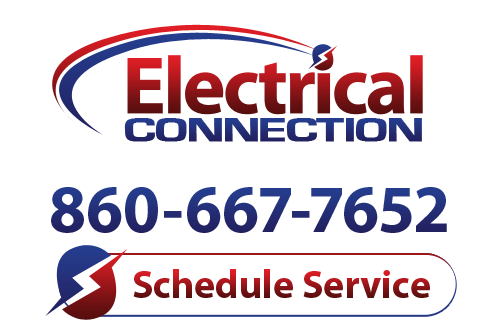 Electrical work is complicated, so when looking for an expert, look to the company you can count on: Electrical Connection, Inc.
Attic fans help ventilate your attic space by drawing cool air from the outside into your space and pushing the hot, stagnant air to the outside. Keeping the hot air moving in your attic space helps prevent it from sitting and increasing in temperature throughout the day. When excess heat transfers to your home from your attic space, your air conditioning system has to battle this excess heat in order to cool your home to the temperature you’ve set. With an attic fan, the excess heat is circulated out of your attic space, allowing the space to stay cooler, which helps take the load off your air conditioner. When your AC doesn’t have to work as hard to battle the excess heat from your attic space, it doesn’t have to work as hard. This can help save energy. The heat from your attic space doesn’t just try to move into your home, it also heats the roof and the roof shingles. Heat dries things, and if your attic space becomes hot enough for a long period of time, the heat from the attic can dry out the roofing materials and cause damage. Attic fans can be improperly installed, which can cause the cool air to be sucked into your attic space and vented to the outside. Hiring an electrical expert in Hartford, CT helps ensure the proper installation of your new attic fan. Give us a call today to schedule an appointment.